Martha brings over 20 years of recruitment and business development expertise to the HireNetworks team and has recruited across several disciplines for her high-end technology clients, including Red Hat (RHT) and Csoft International. 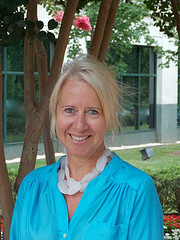 She works to continually expand our market impact in both retained and contingency business. Martha translates her specific industry expertise, recruiting experience and HireNetworks’ proven methodology into job search success for candidates and hiring solutions for clients. As an Executive Recruiter, Martha partners with technology professionals to plan and develop their careers, including collaboration on appropriate roles, career progression including resume development and interviewing advice, partnering on exclusive opportunities and offer negotiation. Martha is a proud graduate from University of Georgia and lives in Raleigh with her husband and 3 children.